Today I am going to tell you a heartbreaking story. A story so sensational that you would think it was the makings of some fancy Hollywood screenwriter. I only wish this was the case. A few posts back I touched a little bit on ambiguous loss. To help you understand it better I compared it to the loss one may feel when a loved one goes missing. To further explore this topic, I have asked a fellow birthmother, Cathy Terkanian, to allow me to share her story. We have done an informal interview of sorts and it is my honor for you to be a part of her story and possibly help to share her story in hopes that her heart may finally find peace. On June 23, 1974, when Cathy was 17 years old, she became the mother of Alexis. A bouncing baby girl, the joy of Cathy’s life. Perfect in every way and loved just as perfectly by her mother, Cathy. Alexis was born in Louisiana and shortly thereafter Cathy headed back to Virginia where her mother and siblings lived and where she was from. As you can imagine, being a 17 year old with a new baby is difficult and, most times, will require some support from family and friends. Cathy returning home was her best shot at acquiring the support she needed for her little girl, so home she went. It is here that I must give you a brief background on Cathy’s family life. Cathy comes from a long line of adoption-centered thinking and her family is composed of adoptees and even has ties to a great-aunt who worked for Georgia Tann. If you need to look up the history of Georgia Tann (I recommend you do) please click here to open up a new window/tab. Cathy’s mother came from poverty and Cathy was also raised in poverty. Resources, and sometimes love, were limited in her household. When Cathy returned home with Alexis, she found her mother sick with stage 3 breast cancer (although her mother tried to hide that at first) and wasn’t even sure if her mother would be around long enough to parent her younger siblings. Slowly coming to realize that the support she was seeking would not be given, Cathy found herself at a loss. Adoption was not something that had ever crossed Cathy’s mind, but her mother, being advised by Catholic Charities, began the process for Cathy to relinquish her child, who was almost 5 months old at this time. Catholic Charities told Cathy’s mother that Alexis would have a much better life than the one that could be provided to her by Cathy. They reminded Cathy’s mother that she was sick and may not live, and that if she passed then Cathy would most likely abuse or neglect Alexis. Their “counsel” was so good that Cathy’s mother was 100% convinced that adoption was the only way to say her grandchild. Catholic Charities offered no help to Cathy to parent her child at all. They did not offer any financial assistance, no child care, not even prayers of support and people to talk to when she felt overwhelmed. The only thing that was offered to Cathy was the relinquishment of her daughter to a “better” life where she would not be hurt or grow up with financial difficulties. In fact, these things were not even offered to Cathy herself but to Cathy’s mother. Cathy was not involved at all in this “adoption plan.” It was orchestrated through Catholic Charities and Cathy’s mother. So, with nothing else to do, no support, no options, Cathy relinquished her beautiful 5 month old little girl to a “better” life with a “loving” adoptive family that would give her all of the things that Cathy could not. Or so she was promised. Throughout Cathy’s life, she thought often of Alexis and wondered how she was doing. Wanting to give Alexis the chance to work out being adopted, she waited 20 years to attempt to make contact with her. Cathy says, “I wanted her to be old enough that she has some space to think for herself. I didn’t want her to have to fear upsetting her adoptive parents.” She wanted to be respectful of her feelings. And then, when Cathy thought the time was right, she contacted Catholic Charities in an attempt to being a search and reunion with the daughter she had relinquished so long ago. Visions of the happy and loving life that Alexis had lived floated around in Cathy’s head. She wondered all the things us birthmothers wonder. She had been promised a happy life for Alexis and was confident that is what she had received. So here is where I will stop and address what you’re thinking. If you’ve read any of my other posts you may be thinking, “She’s going to try to blame a runaway on adoption.” Nothing could be further from the truth. Kids run away all the time in this country – both adopted and not. This, in and of itself, could not be blamed on adoption (even if the reasons for running away stemmed from issues related to being an adoptee). In any typical case no one could have ever predicted that a baby relinquished to adoption would run away and therefore it would be the fault of no one, even if the birthmother would always blame herself (I know I would – even though, logically, it would not be my fault). There is a huge difference in this case, however, when compared to any other cases of adopted children going missing or running away. This was preventable. Because Cathy is a classy lady, she did not include any names when telling me her story besides hers and her daughter’s. Because I like to think of myself as an investigative journalist, I took it upon myself to find this information on my own. 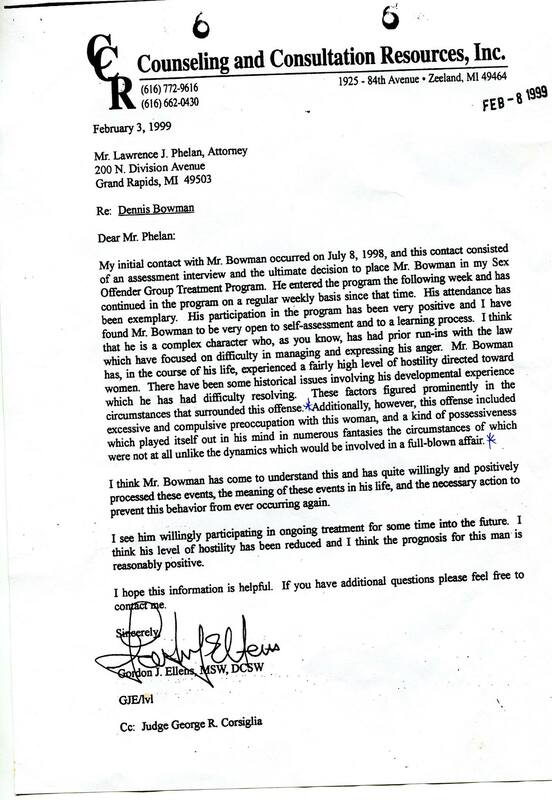 Aundria’s adoptive father’s name is Dennis Lee Bowman. 6 years after adopting Alexis/Aundria, Dennis went to prison for 5 years for criminal sexual assault. He also had a criminal record before adopting Alexis which disallowed him from being able to join the Navy. But was totally acceptable for him to adopt a child, somehow. When Cathy questioned why Catholic Charities had allowed this man to adopt her child, they said that since he lived in a different state that there was no way for them to have known about his record. I. DON’T. BUY. IT. We are talking about the life of a child. An innocent child. It is your responsibility and duty, as an adoption agency, to go all the way in vetting adoptive couples. ALL THE WAY. Why weren’t background checks done in the states he lived in previously? Even if he didn’t disclose that he had lived in different states, why was it not questioned? Catholic Charities failed here. BIG time. And when Cathy requested to see her file on the adoption she was told to get a lawyer. 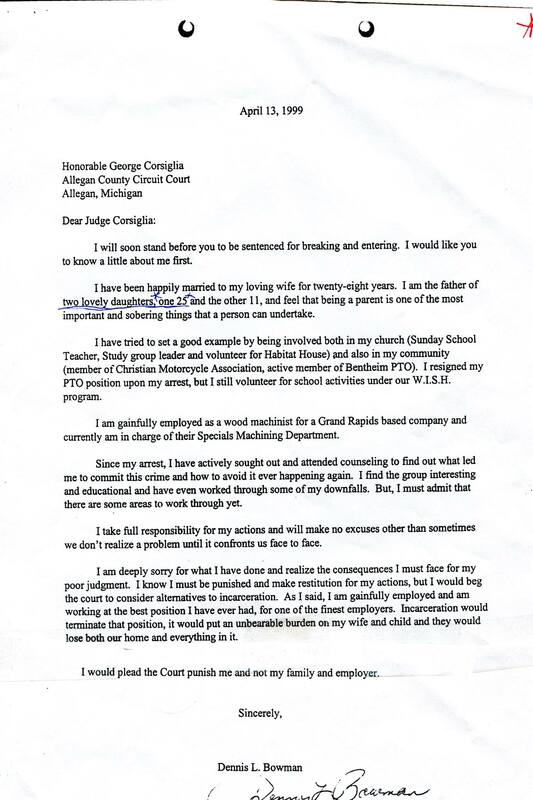 It is my belief that Catholic Charities is hiding something and wants to avoid a lawsuit. I would bet the farm there are things in those records that will show they were negligent in allowing Alexis to be adopted by the Bowman’s. I have advised Cathy to seek legal counsel and obtain those records. 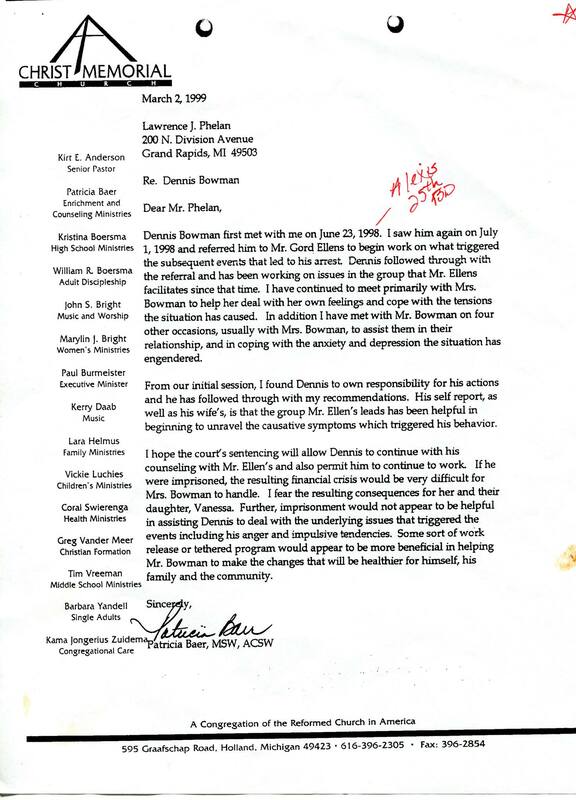 Several days before Alexis’ disappearance she reported to her guidance counselor that Dennis had assaulted her. To further complicate the matter, she was reported as a runaway and the very person that reported this was the man that is likely responsible for her disappearance. In 1989 being reported as a runaway was not a high priority on the list for the police to investigate. It’s likely Dennis understood this and knew he wouldn’t be scrutinized. What do parents usually do when their child goes missing? They search, they get the word out, they don’t give up. However, the Bowmans have done the exact opposite. They have gone on with life as if Alexis never existed, had another (biological) child of there own and have no care whatsoever whether or not Alexis is ever found. It is Cathy, Alexis’ biological mother, the one who relinquished her to promises of a happy and better life, that is running things in regards to getting the word out to find Alexis. It is Cathy who has put her heart and soul and everything she has into this case. The Bowmans have been uncooperative even with Cathy. They have not helped her in her search and the few pictures that Cathy was able to obtain were provided by people who had known Alexis. This further points to something that is not on the up and up. If Catholic Charities had done their job vetting adoptive couples it is most likely that Cathy would not be going through this torturous hell right now. She first experienced the ambiguous loss of her child when she relinquished her and has experienced it two-fold when she found out she has been missing for 26 years. I can only imagine what hell that must be. Cathy has expressed that it is most likely that something has happened to Alexis but she always holds out for the hope that this is not the case, as do I. Upon Cathy’s mother’s death bed, she said that she should never have listened to the “adoption professionals.” This was 10 years after Alexis had been relinquished and before she knew that she had went missing. Cathy’s mother, like so many birthmothers then and now, had been brainwashed into thinking that adoption would guarantee a “better” life. While not all adoptive parents are evil and many adoption agencies do thoroughly vet potential adoptive couples, you would be very surprised how much things have stayed the same in that department. I leave you with these questions. If Aundria/Alexis’ adoptive parents loved her so much and cared about her, why are they not working with her birthmother to help in finding her? Do they have something to do with her disappearance? What is it going to take to get Aundria/Alexis’ story to go viral? To go nationwide? To be the front page of every news article, the headline on every news outlet? Dare I say it contaminates the pretty picture of adoption so much that her story has a bias against it to get the publicity it needs to finally come to some kind of resolution? If this is the case, how unfair to further cause damage to Cathy’s emotional health and the possibility of Aundria/Alexis being found in the name of adoption saving face. How far do we let this go? Can you please help Cathy finally find some closure, some peace? Can you share her story and help find Aundria Michelle Bowman? Please help by reblogging this, or sharing it to all your friends. Aundria Bowman/Alexis Badger is also featured in the song “runaway train” by soul asylum as one of the missing children. If you know anything, anything at all please call the number on the picture. As of w015 she still has not been located??? ?